Remington electric shavers offer some of the best features that every manly man wishes to get from their shaver. Remington is one of the top players in shaving industry. Many of its products become men’s favorites not only due to their excellent quality, but also due to their great value. Remington offers some affordable models that highlight excellent shaving performance and features. There are also some premium models that offer the best features for the price. For every man who thinks that masculinity means maintaining perfect body hair, there is always a Remington product that is not only suitable, but also perfect for him. Here you can read the review of five of the best Remington electric shavers that are available on the market. As Remington’s product lineup includes a large variety of products designed specifically to accommodate specific shaving styles and preferences, every product is the best on its own. There are products that are suitable only for either wet or dry scenario, but you can also find Remington wet dry shaver that is perfect for both situations. A product may be excellent for you if it suits your needs, but may not be your best if it is not in accord with your shaving style. By understanding what each product can offer, you should be able to pick the best Remington shaver to buy. Remington has released many F-series models, from the 3xx models that don’t include pivoting head to more superior models with three foils and some premium features. F4790 stands somewhere in the middle to offer the best features for the price. For an affordable foil shaver, F4790 has some features that make it a reliable shaver. Its two foils are flexing, providing just enough pressure to the skin when shaving, and they contain titanium-coated blades that lie on the top of a pivoting head, which gives easy access to grooves, indentations and other hard-to-reach areas on the skin. The built-in pop-up trimmer is excellent for detailing. This shaver also includes LED battery indicator and easy cleaning mechanism, two features that are fairly typical of most shavers marketed today. The only concern with this foil shaver is that it is somewhat noisy—a problem that most men don’t care very much. 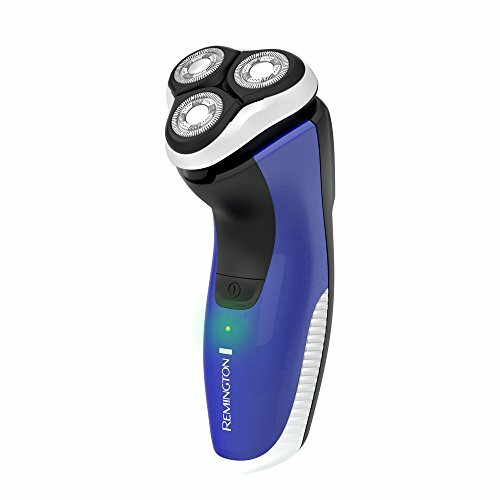 MS5120 is an affordable electric shaver that Remington offers to customers who expect clean and comfortable shave. For men who prefer being completely hairless, the two large foils of this shaver plus the third mini foil will make sure that no strand of hair is left unshaven when this shaver is used in a shaving session. The shaver uses patented titanium-coated blade that guarantees not only ultimate sharpness, but also durability. Thanks to the shaver’s high-grade blade, a shaving session will always be comfortable and far from being irritating. This shaver includes a pop-up trimmer that can be handy during moustache and sideburns detailing job. Although the shaver is graded as washable, it is important to note that it is not a Remington wet dry shaver. You can only use it in dry mode. A foil shaver may offer cleaner shave, but it is a rotary shaver that shaves all facial hair evenly. The 3-circular-blade structure of Remington PR1260 R5 Rotary Shaver enables it to follow the contour of your face and neck precisely, so there is practically no shaving spot that is categorized as hard-to-reach area. Areas that is difficult for foil shaver to reach, especially the neck area, can easily be reached if you use this rotary shaver. The shaver’s pivot and flex technology further enhances its capability to reach every shaving spot on your face and neck excellently. 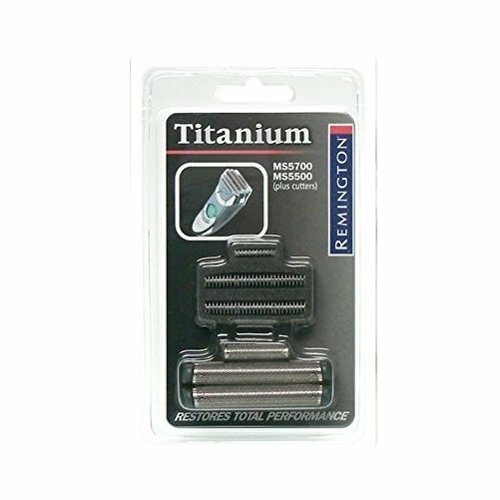 This rotary shaver includes Remington’s patented titanium-coated blade. Therefore, problem with irritation that often plagues the majority of rotary shavers due to their lift and cut mechanism, is relatively absent when you use this shaver. Although this model is still available in some stores, Remington has discontinued its manufacture. If you wish to buy a shaver with similar features, Remington has released its PR1260 R5 Power Series Rotary Shaver, which offers all excellent features offered by this shaver. Lithium Power - Long-lasting battery drives maximum power and torque to the motor for 60-minutes of cordless runtime with each full charge. Corded and Cordless Use - Use the shaver cordless for a full 60 minutes. If power runs out, just plug it in and keep on shaving. A foil shaver is known for its capability to perform clean shave, but its horizontal foil often causes problem when reaching grooves and hard-to-reach areas is needed. Remington WDF-350 is designed to solve this problem. This foil shaver features 2 flexing foils that are wider than normal. The wide and flexing foils are considered an excellent solution for the aforementioned problem as such foil structure prompts the foils to constantly hug the skin when used for shaving. Areas that are often difficult to reach, such as neck and armpit, will be smooth as silk when shaven using this shaver. The titanium-coated comb that the shaver uses and the Comfort Strip technology that lifts locks and cushions ensure that every strand of hair will be perfectly cut without causing irritation. This shaver also includes trimmer, which—despite not being a pop-up one—is positioned so perfectly that angling it should not be a big problem. Wet/Dry Shaving Convenience: Use shaver wet or dry, in or out of the shower or tub. One problem that plagues both traditional and electric razors is post-shaving feel of burn. This problem is so notorious that the quality of a shaver is often determined by how well it prevents such discomfort from occurring. 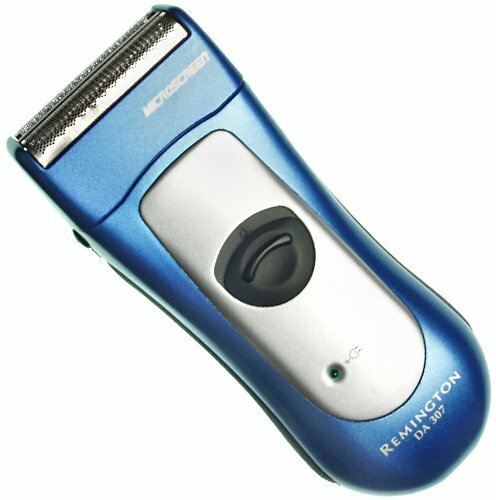 Remington DA-307RBP is designed to be an electric shaver that is comfortable to use and to feel. This Remington wet dry shaver has ergonomic design that includes firm rubber grip on both of its sides, allowing you to comfortably use it even when your hand is wet. Remington is so confident with the anti-irritation feature of this shaver that it offers 30-day trial period to customers to test its feel. With this one of the best Remington electric shavers, you can forget about the discomfort that you often feel after you shave your facial hair. By understanding the features of each of the shavers above, you should be able to pick the best of all Remington electric shavers that are reviewed above.